Alcohol Addiction Centers – How Can They Help? High quality drug and alcohol addiction centers provide comprehensive treatment programs designed to help you regain control of your life. Rehab treatment programs are intended to find healthy, productive ways to help people caught in the grip of addiction to live a sober lifestyle without the need for alcohol. Seeking professional alcohol addiction help could be the first step on the path to recovery. Why Do People Avoid Entering Rehab? There are a variety of reasons why people choose not to seek specialized alcohol addiction help. One of the more predominant reasons is denial. Many people caught in a cycle of alcohol addiction deny they have a problem, believing they can still quit at any time. There are also people who believe an alcoholic simply needs to be brave enough to exert some willpower and just quit cold turkey. They don’t believe that specialized treatment is necessary, thinking that the person will somehow be cured if they just get through detox. Others worry about the potential cost of rehab treatments, fearful that they won’t be able to afford the financial aspect of the treatment they need. There are also people who have developed false ideas about what really happens in alcohol addiction centers, believing that everyone sits around in group sessions chanting or praying. Their fear is that treatment will try to change everything about who they are as individual people. The reality is far different, as counseling and therapy sessions focus strongly on developing the right combination of treatments to suit each person’s unique needs. What Really Happens in Alcohol Addiction Centers? The image people have of drug and alcohol rehab facilities is tainted by false images created by movies and TV shows. In reality, a residential rehab center focuses on providing medical supervision and monitoring for newly-recovering people still going through the detox process. Detoxing from alcohol can produce potentially dangerous withdrawal symptoms, some of which can be life-threatening and may require emergency medical assistance. Addiction specialists and medical staff can administer prescription medications that can reduce the severity of the symptoms associated with withdrawal, making the detox process more manageable. Detox is only the first step in a comprehensive treatment program. While detoxing from alcohol is an important step, it only breaks the body’s physical dependence on the substance. It does nothing to address the underlying psychological reasons and triggers behind self-destructive behaviors. 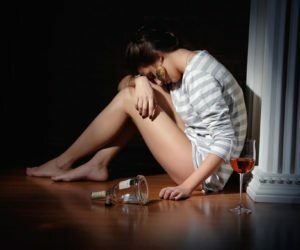 Each person in treatment has their own unique alcohol addiction triggers, so it’s important that the combination of therapies and treatments used is also tailored to suit each person’s needs. Treatment programs in alcohol addiction centers may incorporate behavioral therapies, individual counseling sessions, alternative and holistic therapies, along with group support meetings. The objective of each treatment is to identify the recovering person’s unique triggers and high-risk situations. The recovering person is then encouraged to participate in developing a strong relapse prevention strategy designed to reduce the risk of returning back to a pattern of self-destructive drinking behavior. Graduating from an intensive addiction rehab treatment program is a huge achievement. However, the recovery process continues even after the person leaves rehab. During treatment, a recovering person has the opportunity to learn healthy new ways to manage stress and difficult emotions without the need for alcohol. Once the person returns to independent living, they require ongoing support and motivation if they are to remain clean and sober. Alcohol addiction rehab programs provide access to a variety of aftercare services designed to provide the ongoing support and therapy needed. Aftercare services might include access to counseling, therapy or group support meetings, all of which reinforce the treatments received during rehab. Just as the reasons behind each person’s dysfunctional drinking behaviors are different, the treatments needed to achieve a successful recovery also need to be customized. If you’re searching for high-quality drug and alcohol addiction centers, then look no further. Contact WhiteSands Treatment and see how we can help you begin your journey to recovery today. Call (877) 855-3470 now to get started.